Ste. Anne has two funds which are part of the Mackinac Island Community Foundation for your donations. the Ste. 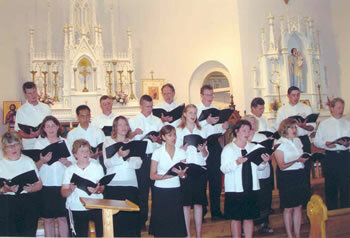 Anne Catholic Church Fund which provides a perpetual stream of support for various programs at the church. To donate directly to our parish please call us at 906-847-3507. Ste. Anne Church appreciates your generous support. We are also looking for volunteers to help with our community programs such as the Employee Dinner. Please contact us if you are able to assist.